Is possible to do a fully perforated side panle? Several times asked but I let @KSliger answer this time..
Ah i see, i did not notice that you did not incur extra for the alternate top panel colour instead. I was under the impression earlier that there were. A misunderstanding on my part, sorry! Still working on them - apologies on the perpetually wait times, we keep getting close and something comes up. No plans for this, difficult to punch the number of holes we have now without the sheet turning warping. Full perforation would make the side panel look like a potato chip. Had lots of people that wanted white with black top, and wanted to save the extra few $, so we changed that to substitute top color instead of add-on. Anybody want a Slate Gray top panel? Why not making a stylish KI or an X with holes? Can we have same number of holes but with different pattern? So forgive me if it's been discussed but I ran a quick search and didn't find one. Has anyone tried dropping an mATX board into the X and cramming a 60-80mm Monsta radiator into the bottom for extreme cooling surface area? With a mATX board I would expect around 100mm of clearance, hopefully 105? 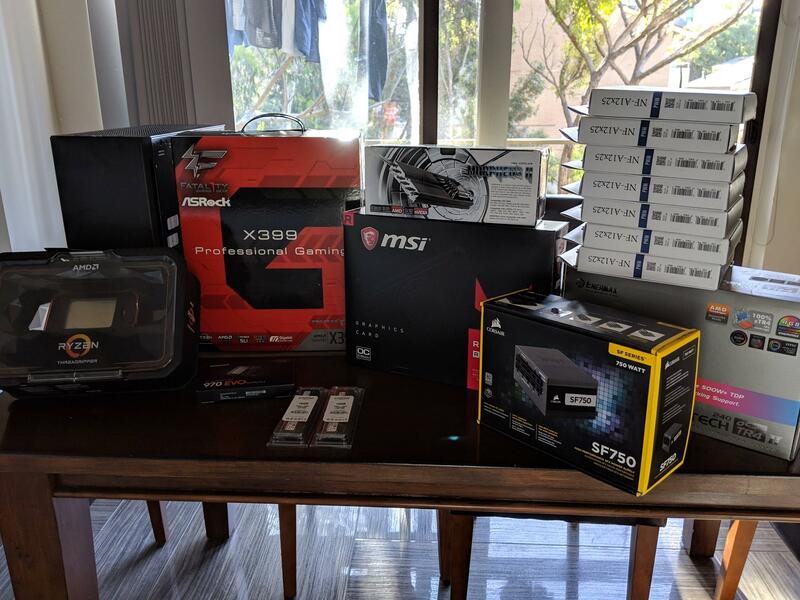 @fabio proved there was definitely enough for an XSPC 20.5mm TX 240 + 15mm fans with a standard length 305mm motherboard. Shortening that to an mATX 244 would give you another 61mm to work with. This came up when I as checking clearance on my SSI-CEB board for a front mount rad + 25mm fans and I should be able to clear up to 30mm radiators. It would be more, but 4 of my SATA sockets including the 2 native 6Gb/s are side mounted toward the front, killing a lot of clearance. With mATX in the Cerberus X you will have 99mm vertical space in the bottom, that is to the side edge of the motherboard. Might be up to about 105mm if you overlap the motherboard a little. You will need to get some standoffs that are 7mm long. Hi, I'd like to share my Cerberus X in White and Maple. I'm sorry in advance for the dusty side window, I have cats and they shed like crazy! TheHig, Ankacat, Nanook and 6 others like this. I'm thinking seriously to move to solid top panel, due to my cats.. They are bringing some liter particles or hair that are falling into the case, despite my filters..
Don't you have any overheating issue on psu with window panel in front of fan? Hi, good idea with the dust filters, I definitely need to grab them! I really like the magnetic top wood panel, sometimes I pop open the top wood panel for ventilation. No overheating issues with the PSU against the window side panel, I turned off the Zero-RPM so the fan is always spinning. Every bit of airflow helps. I've considered flipping the PSU to face the inside towards the motherboard, but it wouldn't look as good. I was so close to ordering the Cerberus today but the postage sadly was too much. I get it it’s a heavy case no doubt so it is what it is, but it certainly puts a dampener on it paying over half the cost of the case again in postage again. I was wondering if there is any update on the previously mentioned EU store. 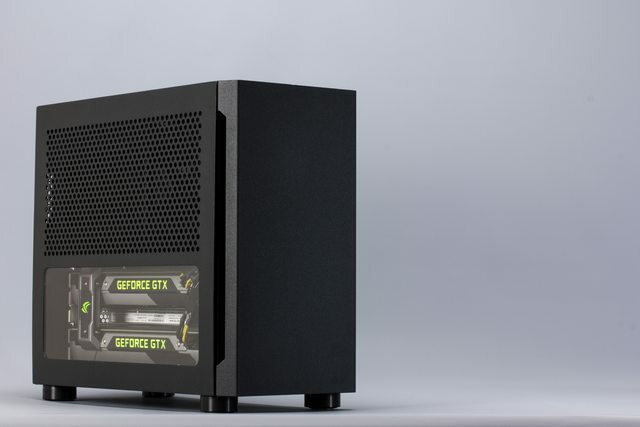 I was looking at both this case and the SM560, but since I live in Europe I might not be able to get one any time soon. KSliger, do you have any timeline in mind? I've read you intend to post the SM550/560 on your website on March 1 with Newegg availability shortly after, but I'm unaware of any date regarding the EU store. 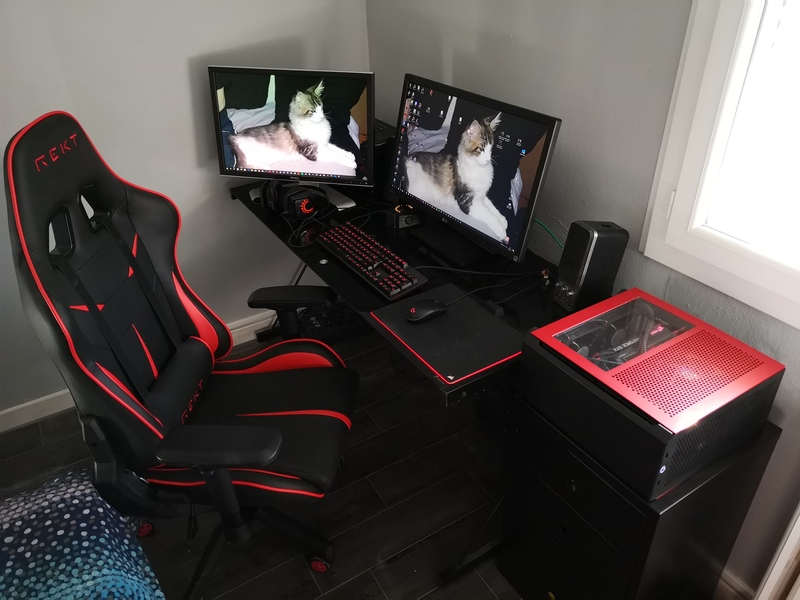 Here is my latest update on my setup...and I discovered horizontal Cerberus-X! @KSliger as my case was coming from pre production, are feet easily removed? Is it possible to develop a new right panel including stylish feet? KSliger, Phuncz and anoldfriend like this. TheHig and MarcParis like this. Let’s see if @KSliger has any good looking solution..
VegetableStu and anoldfriend like this. Stick on feet are only thing I can think of right now, unfortunately the bottom of the case has them mounted on studs which don't come out easily. Focusing on new cases right now rather than more Cerberus options. But will make it happen on Cerberus V2, whenever that happens! VegetableStu and MarcParis like this. Ahah feet mounted on stud.. hopefully i didn’t dismount my whole setup to check that.. Yes it will be great to have removable feet on next gen cerberus..
and it begins... Guess it's time to see if I've forgotten anything! @KSliger this is not a complaint - I think it's amazing you guys are offering custom orders to begin with. Just letting the rest of the readers here know as this information hasn't made it's way back here yet. Beautiful light case by the way. When I picked up the box, I legitimately thought customs had forgotten to put the case back in after opening it up! Way lighter than I expected. Most certainly a dream case! Only downside is they are only available in black. #1 and #3 will be available on the site in the near future, email our [email protected] if you'd like to get one sooner! Phuncz, TheHig, VegetableStu and 1 other person like this. @Iwanit Very nice, look forward to seeing your build. It is kind of sad, but I was excited to see your fan choice. I just purchased 2 of these for my side rad in my ncase and they are the best fan I have ever purchased. Very pricey, but absolutely worth it! I want to make this mod with my owm panels before paint work! With the release of @hdplex 400W AC-DC and 800W DC-DC, i was wondering if Cerberus family could have any benefit in terms of cooling. My main interest will be to have dual 120mm/140mm fans on front panel. My initial thought was to use 400W combo but as my setup R7 1700X+GTX 1080ti overclocked can used 450W i prefer to aim for 800W setup, like my sx-800lti. My second thought is to use back panel (below SFX front position) to install DC-DC 800W and use 2 passive 400W ac-dc bricks on top panel. But I guess 800W is too tall (need to check on my setup). It should be ok with width of 66mm, but need to check with front fan. is it possible to use externally hdplex 400w ac-dc? If yes what will be recommended cable between them? 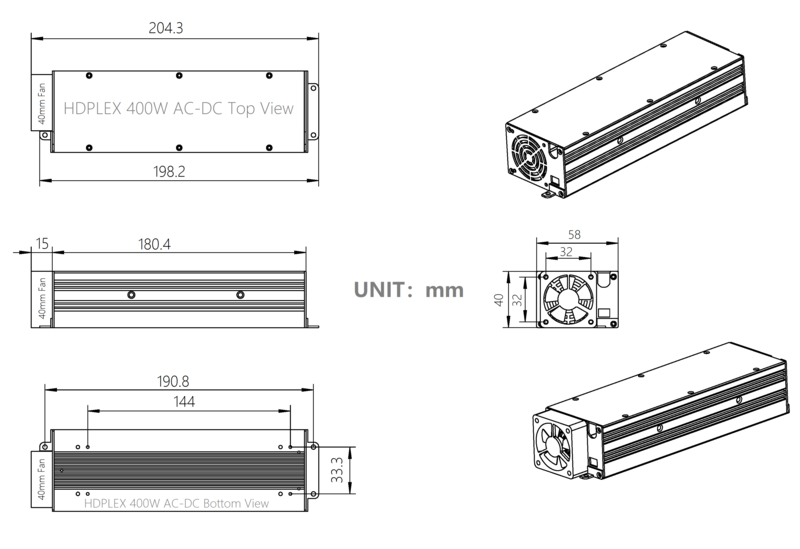 What will be maximum output of hdplex 800 dc-dc with 400w ac-dc, well vented? can it support 450w output? Any support will be welcome..
AMv8-1day, Phuncz and OutereloCarlos like this.